“Two high profile cases of suicide broke [recently] and the reports in both cases referenced abortion as having been a major factor in the subsequent depression that tragically ultimately led to suicide,” reports LifeNews.com. “The first tragic suicide was that of an Australian model and TV star Charlotte Dawson, after a long battle with depression, originally triggered by an abortion back in 1999. “According to news stories, it was decided that Dawson should abort her first child with Olympic swimmer husband Scott Miller because her due date coincided with the 2000 summer Olympics and (because) Miller was so focused on his own pursuits that a child was not welcome in the picture at the time. “Dawson says they planned to try to have children later, but the marriage broke up shortly afterwards and she ultimately died without living children. “The second case reported in the Daily Mail relates to an Oxford student who committed suicide following the break up of her relationship with her boyfriend. “The report however cites the torment she suffered following an abortion. “A ‘talented and gifted’ Oxford University student hanged herself after her boyfriend of 11 months ended their relationship. “Charlotte Coursier was struggling to cope with a ‘campaign of harassment’ inflicted on her by a college lecturer, as well as the torment of having aborted a pregnancy. Let’s petition Congress to define life beginning at conception. If you’re an insider to the pro-life movement, you recognize the potential divide between “incrementalist” pro-lifers who want to make abortions harder to do, and “personhood” pro-lifers who want to ban all abortions beginning at conception. 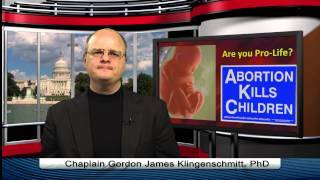 I just conducted a news-making interview that may help bridge the pro-life divide. Carol Tobias, president of the National Right To Life Committee (NRLC), was just interviewed on our TV show PIJN NEWS and we discussed our differences. Carol then endorsed Colorado’s ballot initiative, Amendment 67, “Brady’s Law” that would protect children beginning at conception, giving them legal status if killed by a criminal. Watch! Dr. Chaps interviews President of National Right To Life, Carol Tobias, who endorses “Brady’s Law” A.67 in Colo. This is an amazing interview! It has potential to bridge any divide, for example, between American Right To Life vs. National Right To Life leaders, who now both AGREE that “Brady’s Law” should be passed in Colorado by public voters! Please forward this email to other “insiders” you know in the pro-life movement.